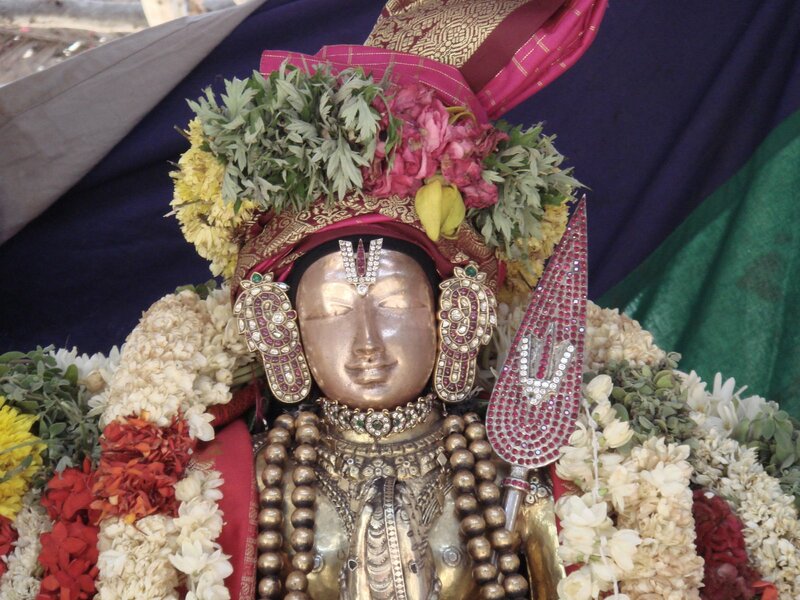 Thirumangai Azwar had done lot of services to LORD at Srirangam. Azhwar built the hundred pillar mandapam for the yearly festival adhyayana uthsavam. He built the north and south gopurms at Kulasekaran thiruveedhi and also the fourth compound wall ( Mathil suvar) which is called Maharlokam . This compound wall’s inner praharam is called “Aalinaadan veethi” that was the name of the place ruled by Azwar. There is a big Garudazwar sannathi in this praharam. 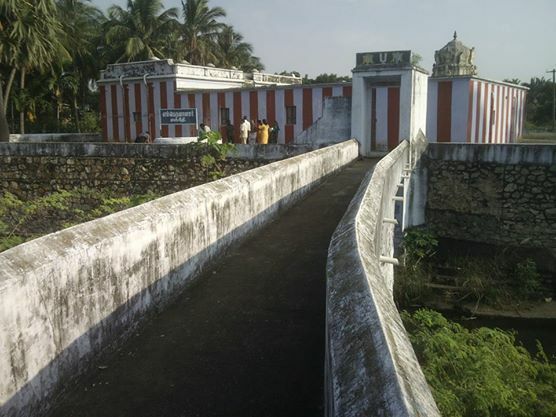 The entrance is called Karthikai Vaasal to remember the birth star of Azwar He built the Thirunadai malikai that joins the Chandra Pushkarani and Velli Azakiyan vasal. On total he completed eight major construcion works in Srirangam. The big question is Where from he got this money for all these construction work? There are interesting stories. Lets cherish them ..
Azhwan sent his disciples to find out where from they could get money for this noble cause. One of the disciples came and told him that there was a gold Buddha statue in a Buddha Vihar at Nagapattinam near Kanyakumari and if they could get it, they could sell the statue and get money for the construction work. 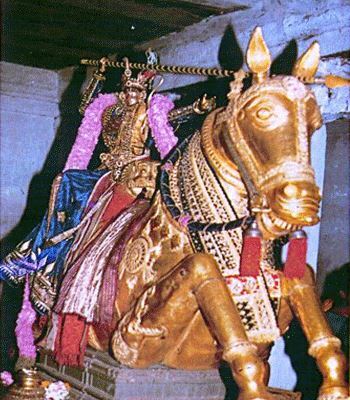 But the statue was installed on top of the Vimanam and if the statue was removed the Vimanam would get damaged. Hence they had to find out a way to remove it without damaging the vimanam. But for that they had to find out the sculptor who constructed it. Azhwar sent his disciples to find out where the sculptor lived . Later locating the place , he went in person with his disciples and stayed with a person living opposite to the sculptor. He told that person that he was going on Yathra visiting places and just waiting for the arrival of a ship to continue his yathra to Nagapattinam. One day he was talking to his disciples in a raised voice and was telling them that he came to know that the golden Buddha statue was stolen. The sculptor who heard this was shocked and started cursing the helper who worked with him and knew the secret of the construction of the Statue. Thirumangai Azwar asked the sculptor where the helper lived and that he would go and search for him and punish him for his misdeed. He told Azwar that he did not know his where about but he was from Choza Nadu. Azhwar spoke to him pleasingly and requested him to tell him about the ( Vimana Makuta suthram)construction secret. He assured him that he would find the sculptor and recover the statue from him. The same day a ship arrived and the Azhwar boarded the ship with his disciples. Azhwar went to the Buddha Vihar with one of his disciples and was hiding there till night fall. 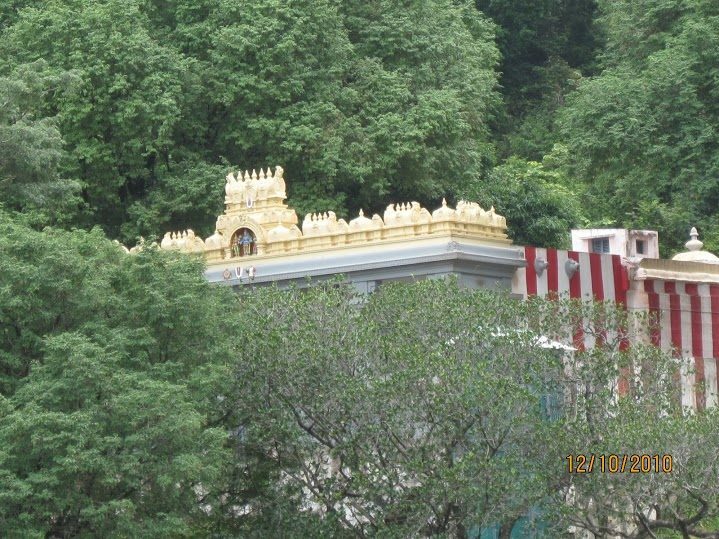 As he had already took clues from the sculpture to remove the golden statue without damaging the Vimanam, with his disciple’s help he removed the statue. The statue was glittering in the moonlight and Azhwar was just thinking, Buddha who renounced his princely home and kingdom did not deserve a golden statue. On reciting a pasurem the gold from the statue melted and dropped into Azwar’s lap. Immediately he told his disiple that he did not want both of them to be seen together and told him to go back to Srirangam and he would follow suit. He decided to walk back to Srirangam. When he was approaching Thirukkannangkudi it was getting dark. He was also feeling tired and so wanted to take rest. Seeing a big tamarind tree, he sat underneath the tree. Beside the tree he saw a wet ploughed field. He digged the muddy field and buried the gold. Then he took rest under the tamarind tree. He was afraid that he might fall asleep and some one might take the gold. He told the tree, even if he fell asleep, the tree should be awake and take care of the gold. Next morning the tamarind tree woke him up by shedding its leaves upon him. 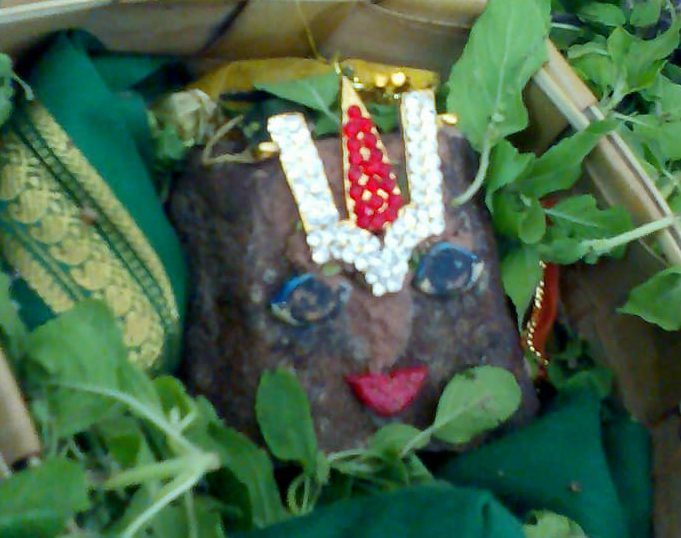 He thanked the tamarind tree and blessed the tree as URangaa puLI. It is believed that the leaves of the tree never closed after this incident. The owner of the field came to plough the field in the morning. Thirumangai Azhwar stopped him by saying that it was his land and he would not allow him to plough. The farmer told him that for generations the land belonged to his family and how Azhwar was telling that it belonged to him. Azhwar told him that he was also asking the same question to him. The owner took him to panchayath and when they asked for proof the farmer showed his patta. When they asked Azhwar that if the land belonged to him where was the patta. He told them that it was at Srirangam and if they gave him twenty four hours time he would bring it and show it to them. The panchayath gave him time. Azhwar just wanted to take out the gold and leave the place, and for that only he asked for time. People say that from that time the law suits of that place keeps on dragging. So the law suits are described as Thola Vazakku. (means never ending)While he was staying there Azhwar felt very thirsty and he saw a woman drawing water from a well. He went and asked for some water, but the woman refused to give water thinking that Azhwar would claim the well also as his property. Azhwar got angry and cursed that the bore well would become dry and water would never flow from underneath. The well was called UUraa KiNaRu and always remained dry since then. Azhwar felt very tired and slept under a Makiza tree. The Lord took pity on him and came as a traveler and gave him food and water. As Azhwar was in a dazed condition due to thirst and hunger he ate the food and consumed the water. Then he looked up to see the person, but there was no one there. 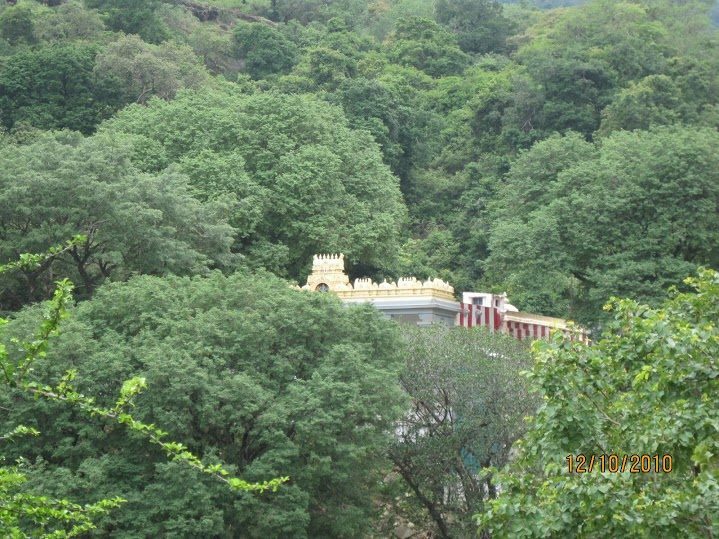 He blessed the Makiza tree to be Kaayaa maram, never to dry and always to remain green and since then the tree is green .That night he went to the field and took out the buried gold and started back his journey to Srirangam. On his way the Lord took the form of the traveler again and blocked Azhwar from walking further. When Azhwar asked him who he was, he appeared with His Sangu- Chakram and azwar was delighted to have darshan of the Lord of KannaNgkudi. 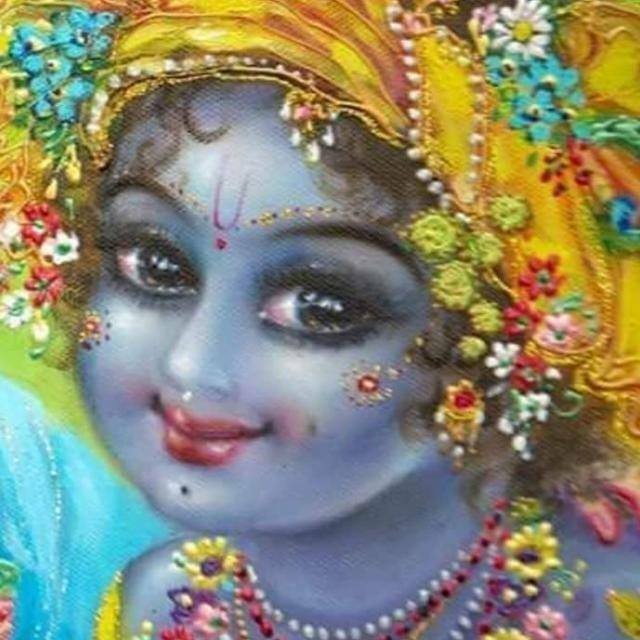 He then understood that the previous night Lord of KaNNangudi only blessed him by giving him Thirtham and prasadam.. When Thirumangai Azhwar prayed to Lord Sri Ranganatha in Srirangam, the Lord directed him to visit Thirukurungudi for salvation where the Azhawar sung his last Mangalasasanam.